After seventy-three years, and thanks to the Defense POW/MIA Accounting Agency and "Promise Keepers" who support them, this World War II hero has made his journey home! His recovery is historic, in that he had been the only POW to be unrecovered from Stalag Luft III, the German prison camp made famous by the movie The Great Escape. 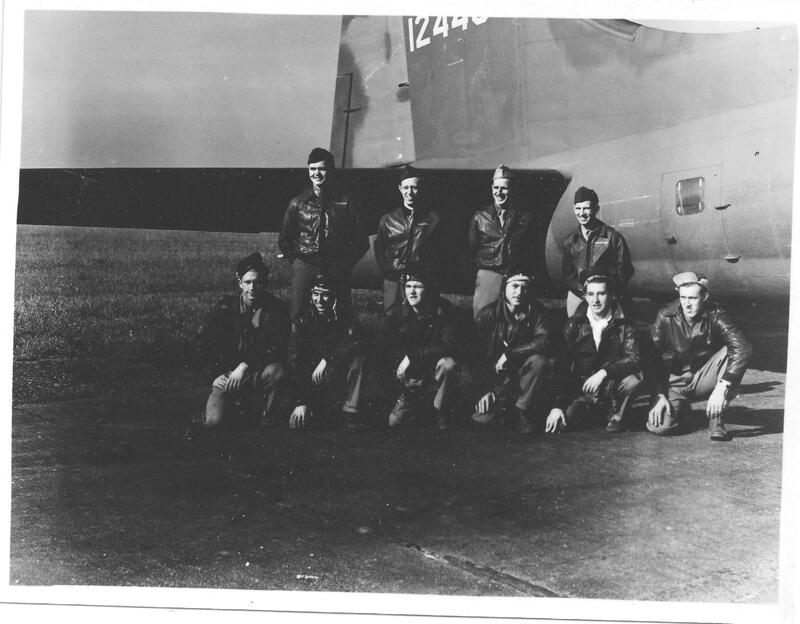 1st Lt. Ewart Theodore Sconiers, U.S. Army Air Corps, 97th Bomb Group, 414th Bomb Squadron, first drew national attention August 21, 1942 during the raid over Rotterdam. Wes Gallagher of the Associated Press wrote, "A slight young Florida bombardier who washed out of flying school and a half conscious pilot with his arm nearly torn off emerged as the heroes today of the great North Sea sky battle which saw American Flying Fortresses shoot down or damage twelve German fighters, although outnumbered five to one. Stubble-bearded airmen who had not been to bed for 36 hours told how the gravely wounded pilot and the bombardier who had never flown a Fortress before brought the big ship (Johnny Reb) back safely after Nazi bullets had riddled two of the four motors and killed the co-pilot." 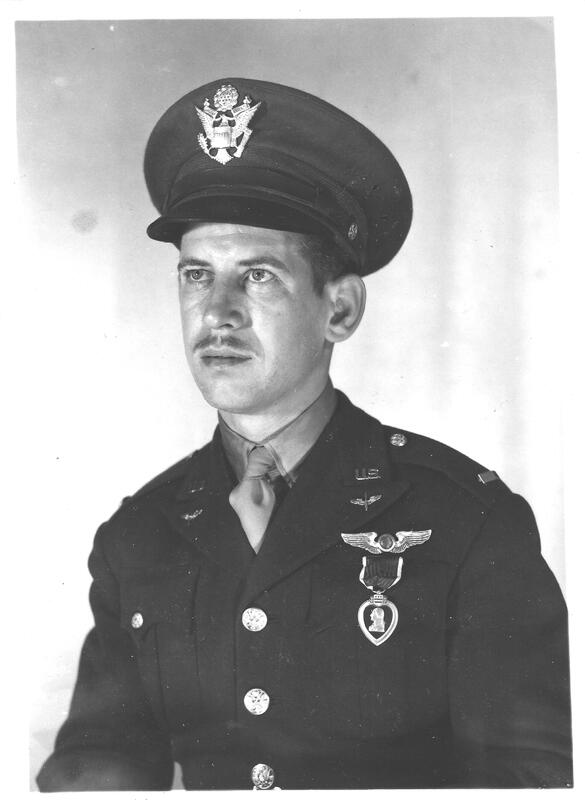 As a result, Sconiers earned the Distinguished Service Cross "for courage and skill in the face of great danger and overwhelming odds," and for "upholding the highest traditions of the military forces of the United States." An NBC broadcast from Pensacola, Florida, "March of Time," dramatized Sconiers' heroics. Another article described "Sconiers, the bombardier...whose nerve, skill, and courage brought the Flying Fortress Johnny Reb and her fighting crew safely home after the pilot had been gravely wounded and the co-pilot killed...Lt. Sconiers was 'washed out' when trying for a pilot's commission in the Army Air Corps...Yet, this young West Floridian absorbed enough of his flight training and had enough native ability as a flier to take over the Fortress after it had been struck by German attackers and pilot it to safety. Sconiers' feat stands out for the reason that it proves so plainly how initiative plays such an important part in the fighting today." Initiative wasn't new to Sconiers, of DeFuniak Springs, Florida. A child of the Great Depression whose mother already had lost two children and been deserted by her husband, Sconiers was shining shoes at age ten. Valuing education, he persisted with his studies until the need for money to support himself prompted him to stop out of high school so he could be trained as a barber and earn sufficient income to return to graduate in 1936. He was an outstanding football player on the Walton High School team, and was interested in other athletic sports, especially in bowling, in which he was proficient. Barbering and frugality allowed Sconiers to afford college, and before enlisting in the Army on September 16, 1941, he attended the University of Florida for two and a half years, proving himself "a Gator fan of the first order." Fearless, fun, and adventurous as a boy, cousins characterized him in college as exceptionally visionary for the times, a natural leader, and a "Pied Piper" with children. Sconiers wrote his brother Kenneth, "Slick, are you able to mush some of your money in the bank? Boy, try to save everything that you can get hold of....Learn what you can about motors and after this war, you and I can and will buy a ship together--one of those double seat cougars...After the war, you and I will have a darn good chance to get started in DeFuniak with what we always worked towards when we were coming up through school. See, you can go ahead and get started as soon as the war is over. I'm going back to school and get myself a law degree and a B.S. in Agr. Economics (intending to grow timber in South America and import it into the U. S.). So let's keep our chins up and look forward until our day." That day never came. Lt. Sconiers (sometimes called "Ed") also was the bombardier of the B-17 Johnny Reb, Jr., but this Fortress would not survive the Lorient Raid of October 21, 1942. Sconiers was among the Johnny Reb, Jr. crew shot down and taken captive by Germans. He spent 12 days in the "cooler" at Dulag Luft in Oberursel near Frankfurt. Dulag Luft was a Luftwaffe interrogation center for Allied airmen. He was imprisoned November 11, 1942 in German-occupied Poland in Stalag Luft III. While interned there and during initial tunneling escape efforts, Sconiers worked security for Lt. Col. Albert P. Clark, Senior American Officer of the camp. Often called "Ed" (because his middle name was Theodore), Lt. Col. Clark referred to Sconiers as "my security man" on page 102 in Clark's book 33 Months as a POW in Stalag Luft III. About fourteen months after capture, Sconiers purportedly slipped on ice at the camp, ruptured his ear drum and perhaps had a severe concussion, developed complications, was taken to a Reserve hospital in what is now Lubin, Poland, and died there January 24, 1944. 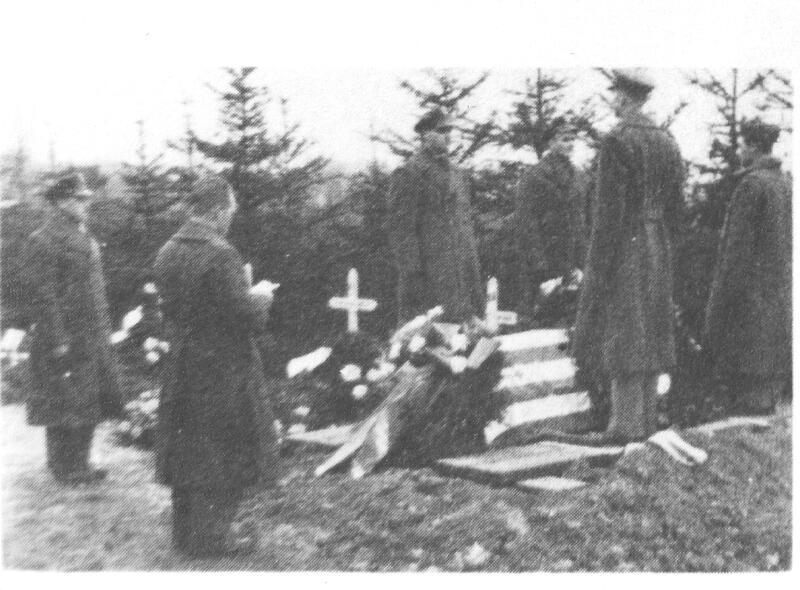 His January 27, 1944 burial party included Lt. Col. Clark and Milton Stenstrom, his pilot. Lt. Col. Clark details his participation in Sconiers' burial on pages 101-104 of his book. 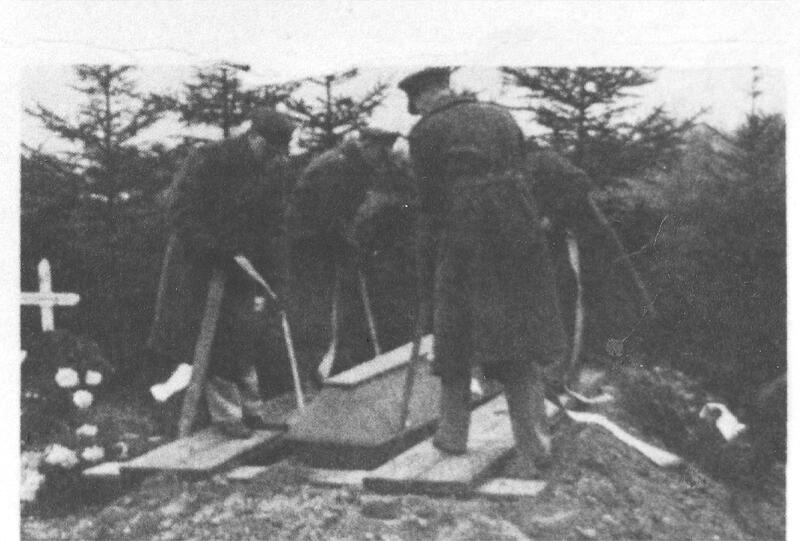 Sconiers was laid to rest in what was enemy soil at the time, and according to Sconiers' IDPF, "captured German records" indicate he was buried in the "cemetery, section for POW, Grave No. 7, at Lueben/Schleswig, Germany," In 2006, the site was confirmed to be Lubin/Schlesien, an area ultimately given to Poland. He had been missing since that January, 1944. But, in keeping with the slogan of the 97th Bomb Group he served, "the hour has come." former superintendent of the U. S. Air Force Academy. Sconiers (standing, second from right) with crew of the Johnny Reb, Jr.